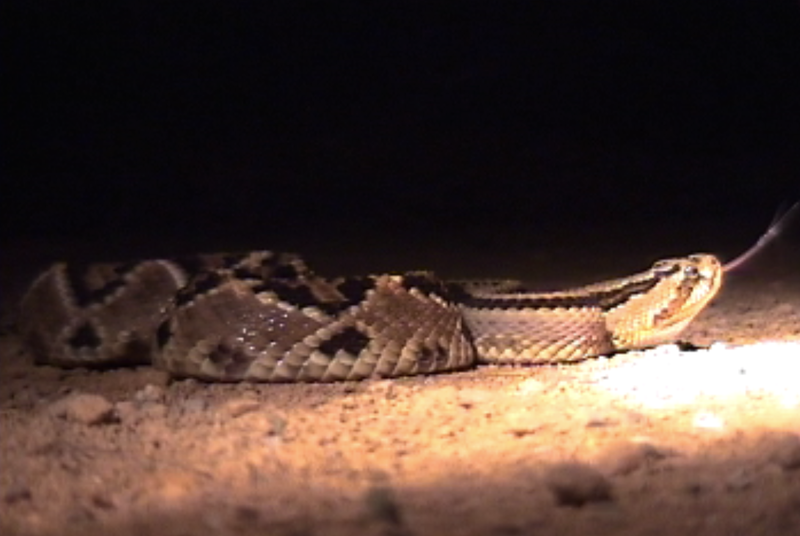 A couple of bumbling guys on a dark road in Nicaragua spot a snake. They bound after the serpent that has slithered into the tall grass. Using bare hands they seize the Diamondback rattler.